Understanding the scope of sexual assaults committed against American Indians and Alaska Natives (AI/AN) within the context of intimate partner relationships and supporting timely tribal government responses can help reduce the trauma experienced by Native victim survivors of sexual assault. This webinar will focus on historical and contemporary sexual violence experienced by AI/ANs and share policy recommendations focused on the intersection of sexual assault and the related crimes of domestic violence and other related issues and limitations faced by tribal nations.  The webinar aims to reduce disparities in the response to sexual assault of tribal victims by increasing awareness of the need for adequate and culturally appropriate responses to sexual assault in tribal communities. Effective financial management of non-profit organizations is an ongoing process of infusing good management habits. No matter how small your tribal coalition, a good financial management system helps ensure adequate internal controls, accurate accounting, and quality reporting. When staff and board are meeting their fiscal responsibilities, it helps the organization sustain for the long term to achieve its important mission. This webinar will seek to enhance the financial literacy of tribal coalition staff and boards, focusing first on providing an overview of CPA services and when each is applicable to an organization, then defining a Single Audit and its requirements (defined in basic terminology), and lastly, how to prepare your tribal coalition for an audit. This webinar will provide an overview of the current federal laws in place regarding shelter and housing in Indian Country and the responsibilities expressly outlined in the Violence Against Women Act. The webinar will also focus on the disparity in tribal housing and shelter in Native communities; will review ONAP’s recent report; and will give an overview of why victims of abuse need access to housing as a matter of survival. Participants will learn about HUD’s final rule and its application to Indian Country housing and shelter options. This webinar will also explore culturally responsive best promising practices to promote safe housing options for American Indian and Alaska Natives. The number of missing and unidentified persons in the United States poses one of the biggest challenges to law enforcement, medical examiners, and coroners tasked with resolving these important cases. The National Missing and Unidentified Persons System (NamUs) is a national information clearinghouse and resource center which offers technology, forensic services, and investigative support to help resolve cases. Funded by the National Institute of Justice and managed through a cooperative agreement with the UNT Health Science Center, NamUs offers all services at no cost to agencies or families of the missing. The online NamUs databases are accessible to all, with secure case information accessible only to registered and vetted criminal justice users. Forensic odontology and fingerprint examination are offered through NamUs to support case comparisons, and DNA analyses and forensic anthropology services are offered through affiliated UNT Center for Human Identification laboratories. This webinar will focus on how technology can be a valuable resource to tribal nations working to build their capacity to respond to missing and murdered Indigenous peoples, and case studies will be provided to illustrate the effectiveness of the NamUs databases and forensic services. American Indians and Alaska Natives (AI/AN) have the highest crime victimization rates in the nation and often have difficulty connecting with victim services. AI/AN victims of crime face additional challenges such as navigating complex jurisdiction barriers and a dearth of culturally appropriate services, both on and off tribal lands. On January 1, 2016, the Office for Victims of Crime of the U.S. Department of Justice funded the National Center for Victims of Crime (NCVC), National Congress of American Indians (NCAI), and the Tribal Law and Policy Institute (TLPI) to work together and create a web-based tribal resource mapping tool that would link AI/AN victim/survivors of crime to tribal victim services anywhere in the country. The project was designed to also help identify gaps in the network of existing services. To achieve these goals, the project partners have convened several events in order to seek input from primary stakeholders from tribal communities about the design and content of the tool. Recently, the official project name was changed to the Tribal Resource Tool: Resources for Survivors of Crime and Abuse. This webinar will focus on the project team’s journey to develop the tool, and be an opportunity for participants to have a first-look at the tool before it launches nationally in 2018. The Rosebud Sioux Tribe was one of the first tribes in the country selected to participate in the Defending Childhood Initiative, raising awareness about children’s exposure to violence. A youth group, born out of this initiative, visited the Carlisle Indian School several years ago. They were shocked to see Sicangu names on some of the headstones in the cemetery. They wanted to bring their relatives home and thus began a long journey of repatriation to identify, remove and re-bury the remains of at least 10 Native American children who died more than a century ago at Carlisle Indian school. Carlisle is a government-run boarding school in Pennsylvania whose mission was to strip the students from their traditions and replace them with European culture. Please join this important webinar presentation by advocates from the White Buffalo Calf Woman Society (WBCWS) and members of the WBCWS youth group as they share their powerful story, a story that speaks to the roots of violence, especially intimate partner violence, in our communities and the strength, courage and vision of our youth in promoting health and healing. [The White Buffalo Calf Woman Society (WBCWS) shelter in Mission SD provides services to victims of domestic violence, sexual assault, dating violence, and stalking. WBCWS is one of the oldest tribal domestic violence programs in the country.] Presented by Sunrise Black Bull & LeToy Lunderman, Advocates WBCS, members of the youth group and will be facilitated by Gwendolyn Packard, NIWRC Training & Technical Assistance Specialist. In 2005, the movement for the safety of Native women led the struggle to include under the Violence Against Women Act a separate title for Native women called Safety for Indian Women. One of the findings of this title was that during the period of 1979 through 1992, homicide was the third-leading cause of death of Indian females aged 15 to 34, and 75 percent were killed by family members or acquaintances. Since that time, a study by the U.S. Department of Justice has found that in some tribal communities, American Indian women face murder rates that are more than 10 times the national average. Over the last decade awareness of this national issue has increased but more must be done at all levels to stop the disappearances and save lives. To address an issue it must first be acknowledged. Please join us on May 5th as we honor missing and murdered Indigenous women and together increase our national awareness. Partnering organizations: Alaska Native Women’s Resource Center, Healing Native Hearts Coalition, Indian Law Resource Center, Sacred Hoop Coalition, Native Women’s Society of the Great Plains, National Congress of American Indians.